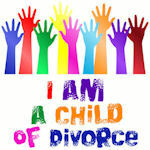 Today’s post is about divorce and the impact of divorce on kids. It is the beginning of what I hope will be series of articles over the next several months on the general issue of marriage and divorce. 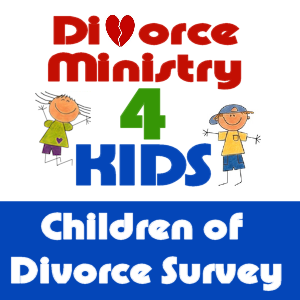 I hope to cover a biblical view of divorce, statistics related to divorce, the impact of divorce on children, and much more. I do not know why God has laid this on my heart to explore and discuss this issue. Though I lost my mother when I was six years old, my parents were not divorced and my father and step-mother have now been married for over 20 years. By the grace of God, I am not divorced. So, I do not write with a first-hand knowledge of the emotions which accompany divorce. I think that this is both a positive and a negative. That said, God has increasingly laid this issue on my heart and so I will move forward in obedience to God. I feel like an article like this (or a series of articles like these) needs to have some sort of disclaimer – not a disclaimer of God’s Word which is true and infallible and needs no disclaimer – but a disclaimer as to the intent and purpose of the article. I believe that the Bible is clear – divorce is a sin and God’s plan is a plan of reconciliation. I also believe that the Bible is the revelation of God who is the ultimate in authority in our lives. Divorce is not the worst of all sins or an unforgivable sin, but it is a sin (in most cases), and the church has for the most part abdicated its responsibility and mislead its people in not calling it a sin. It is a sin like all others that needs to be repented of like all others. And, like other sins, it it the reason the Christ died on the cross. That said, if you have been divorced, God does not love you any more or less than if you have not. This is not an article about why you or anyone else should, or should not, have gotten divorced. It is not an article meant to condemn you if you have been divorced. If we are in Christ, we have been given his righteousness, and that is what God sees when he looks at us. This is not an article meant to point out the speck in your eye while ignoring the plank in my own eye. It is an article about God’s plan and the impact that divorce has on that plan. It is, I hope, and article which will make people take a second to think about the implications of divorce both on families and on the church. I had read these verses a number of times before, but as often happens, this time God drew something very specific up off the pages (computer screen actually) and into my head and heart. I will get to that in just a minute, but let’s have a look at the verse. While clearly written to the men at that time, I think the principals are aptly applied to both men and women in today’s society. The Israelites were upset that God was not accepting of their sacrifices. The modern day equivalent would be a strain in our relationship with God. The Israelites were confused by why this was happening, but verse 14 makes it clear. They had been faithless with their wives – violating not just a marriage contract between the bride and groom but the covenant entered into between God, the bride and the groom. God’s view of marriage is far higher than the human view that says it is an institution which two people entered and therefore should be able to exit. God gave marriage to his people for a reason, and when we get married we covenant not only with our spouse, but also with God. Imagine our displeasure should God ever choose to violate the covenants he made with us. Fortunately for us, God never changes and would not violate such a covenant. We, however, in a culture of “no fault” divorce repeatedly violate the convents we make with God. If it any wonder that this negatively affects our relationship with Him? The next verse starts in the form of a rhetorical question, “Didn’t God make a husband and wife one when they got married? Didn’t God unite their spirits?” God had a purpose in creating marriage as an institution, and he has a purpose in creating each individual marriage. When we get divorced, we are essentially telling God that his plan is insufficient for our lives. It was the next statement that really struck me though as a Dad and as someone who works with kids. Why did God create marriage as a covenant between himself a man and a woman? Why does God meld them into one? What is the ultimate outcome that God desires? What does God seek in the marriage covenant? He seeks Godly offspring. God has ordained marriage as a union in which a man and a woman pass along spiritual truth to their children. Verses like Deuteronomy 6 make that clear. So, when we divorce we interfere with God’s plan for transmitting his truth from generation to generation.  Despite all the cultural pressure that lies to us and says “kids will be better off with two happy parents who aren’t fighting than two married parents who fight,” it is clear that God says the best place for a child is with both of his parents. When it comes to issues like marriage and divorce, it is high time that we started to listen to the truth of scripture rather than the lies of the enemy. So, what can we take away from this verse? Marriage is a covenant between two spouses and God. Marriage is important to God. God intended marriage to produce Godly offspring. Divorce interferes with God’s plans for you and for your kids. Divorce is contrary to God’s will. What do you think? 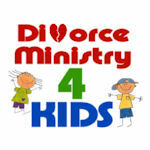 What impacts of divorce have you seen on kids in your ministry? How have you dealt with those impacts? To see this article on the original blog and join the conversation there, please click here.